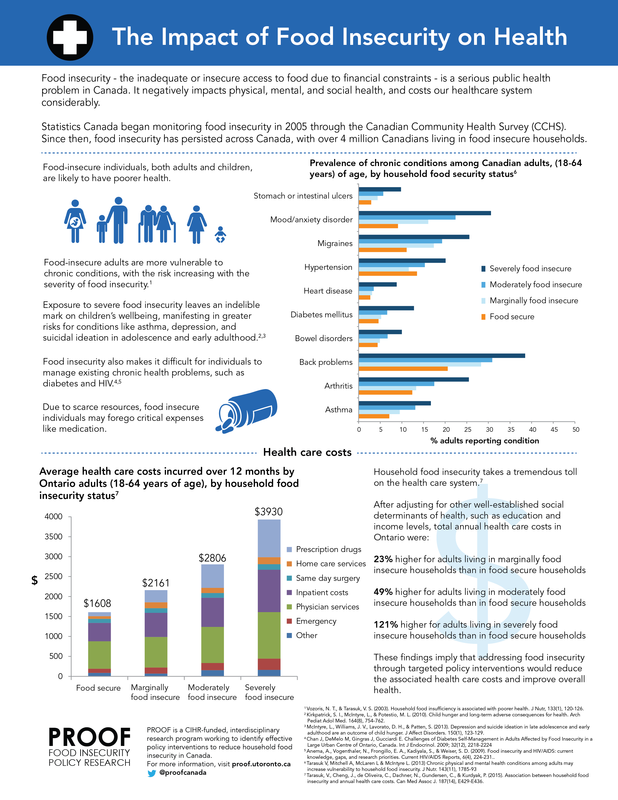 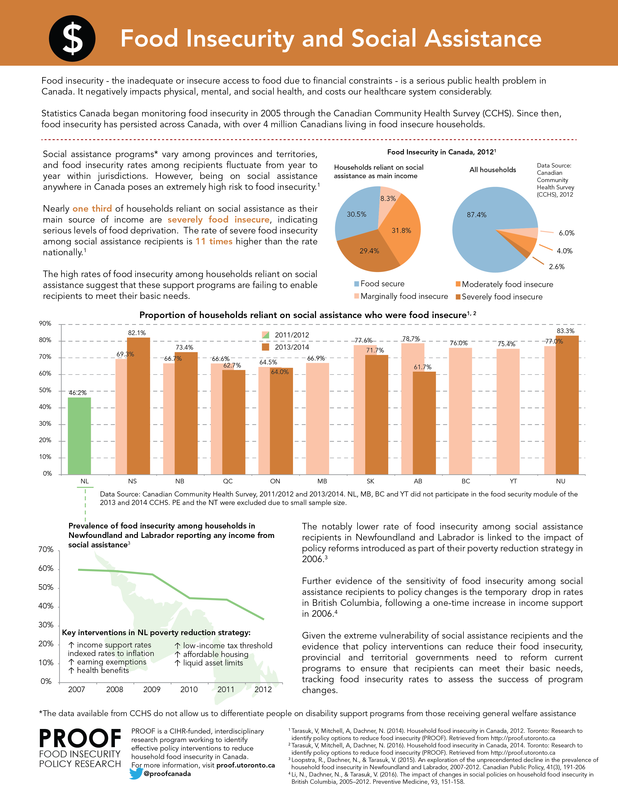 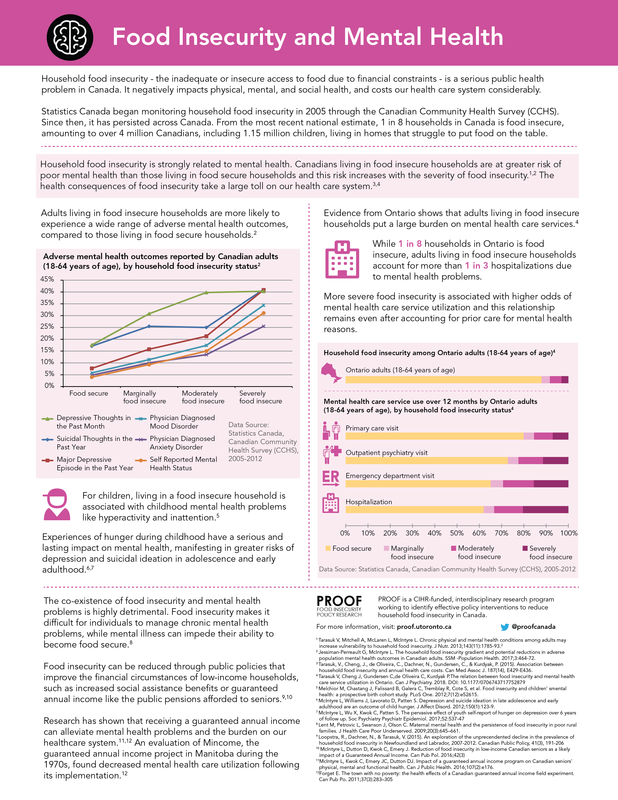 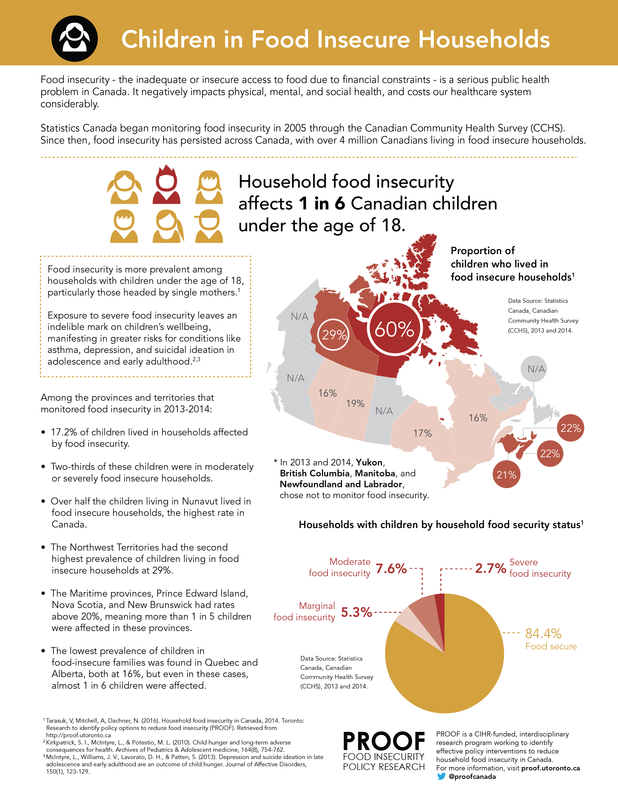 UPDATED MAY 12, 2017: We have recently learned that Ontario, Newfoundland and Labrador, and Yukon opted out of food insecurity measurement in 2015 and 2016. 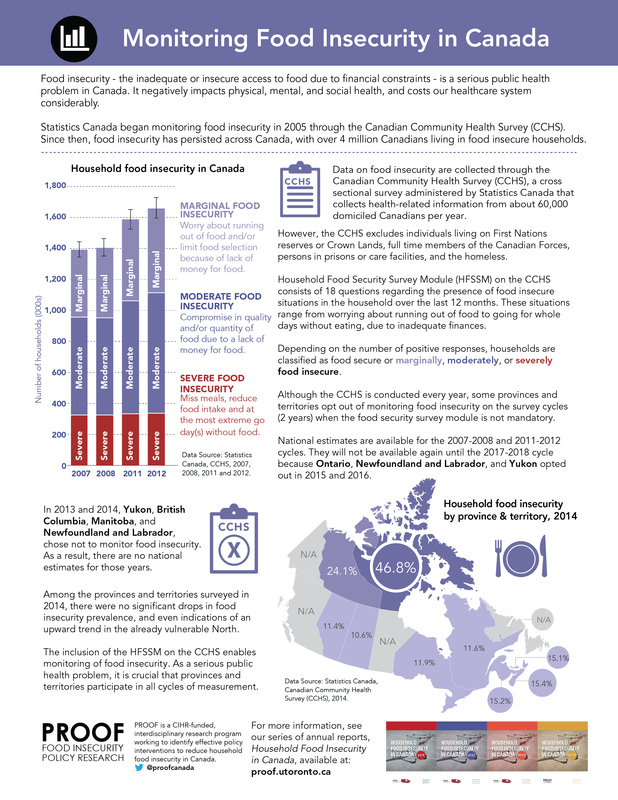 The fact sheet has been updated to reflect this development. 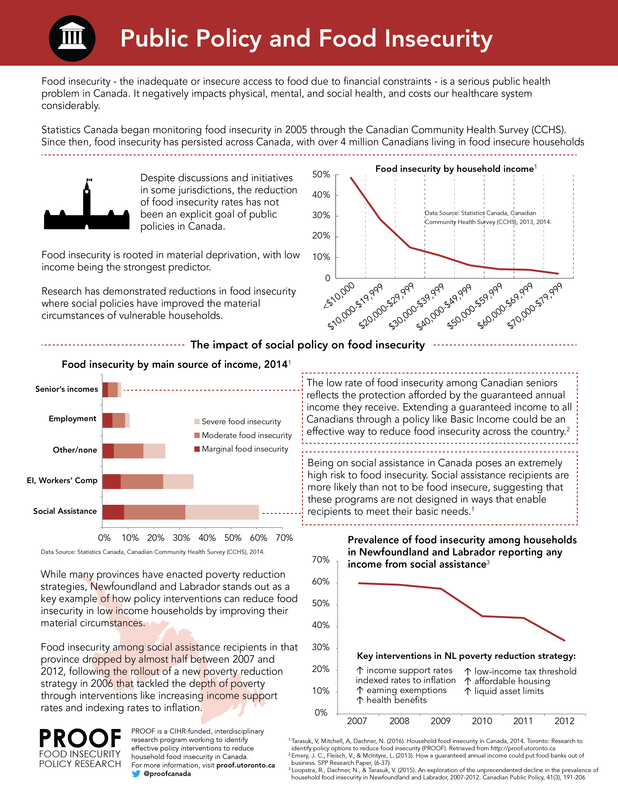 Listen to University of Toronto PhD candidate Andrée-Anne Fafard St-Germain discuss her publication on the spending patterns of food insecure households. 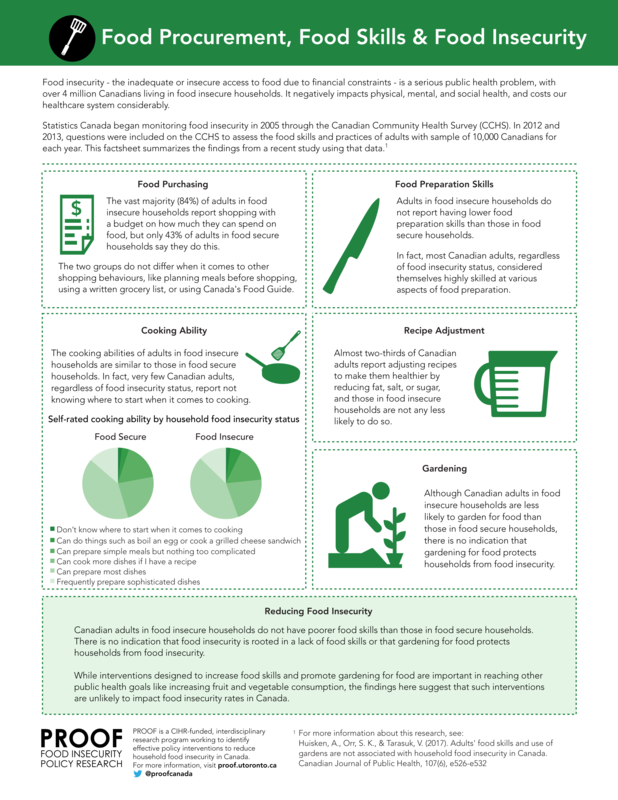 Our fact sheets are provided under the terms of a Creative Commons Attribution 4.0 International License. 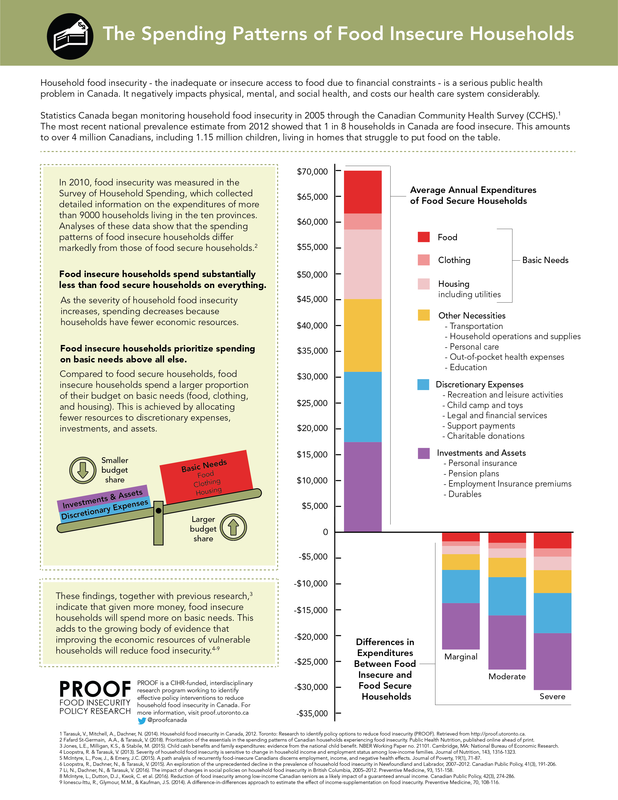 This license allows for free redistribution, as long as it is credited to PROOF.